- Monk: Uses his fists and powerful magic to smite evil! - Mystic Wolf Guardian: Brilliant lightning skills! The power of Sirius! Enemies watch out, she'll destroy all those in her way! - Noblia: Dominates the enemies with different weapons and her super strong power! - Ice Warlock: Powerful frost magic attack sweeps the enemies off the ground! - Burst Breaker: Sprightly and unpredictable! Single strike will blast the entire battlefield! - Eclair: Her second to none versatility will lead the enemies to their ruin! - Blood Demon: Her bloodthirsty spear yearns for lives! - Demon Blade: His blade cuts a bloody path through the battleground! - Crimson Assassin: Cool as ice! The battlefield is her playground! - Dark Valkyrie: She seduces with her chains and judges with her scythe! - Berserker: Behold his rage as he destroys everything in sight! - Cat Acrobat: Quick and agile, fall in love with her spunky fighting moves! - Shadow Mage: His eerie shadow will ensnare and annihilate enemies! - Grow stronger through 103 different stages in Stage Mode! - Climb and conquer the 50 floors of the Tower of Tribulation! - Work together to defeat powerful bosses in "World Boss"! 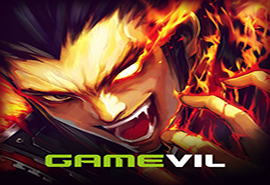 0 Response to "Download Kritika: The White Knights v2.50.2 MOD APK God Mode"